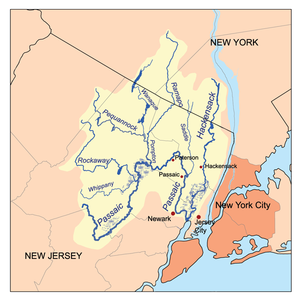 Image via WikipediaPoint #14 of Christie's 15 Point Flood Plan is to produce updated flood maps for the region. On September 1st 2011, the Army Corps of Engineers was awarded the contract to carry out the necessary mapping work. • The notices to proceed are expected to be issued by October 15. • Treasury received qualification proposals on February 24. • DEP needs to select consultants to award tasks. • Awards expected within 4 months. 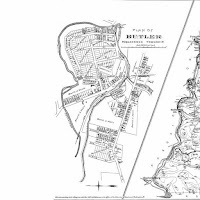 • DEP has received $4,000,000 from FEMA to revise floodplain risk mapping in NJ. • Treasury has awarded four, three-year term contracts to the firms of URS, AECOM, Baker and Dewberry. • In coordination with Treasury, DEP has forwarded SOW to update flood risk mapping within the Passaic-Hackensack Watershed to URS and AECOM for their review and preparation of task work orders. • A coordination meeting was held with FEMA and the consultants to discuss technical requirements. • Preliminary cost estimates are currently being reviewed by DEP, with the goal of signing work orders by August 31, 2011. • DEP awards Flood Risk Map Contracts to the Army Corps or Pompton, Ramapo and other Passaic River tributaries.